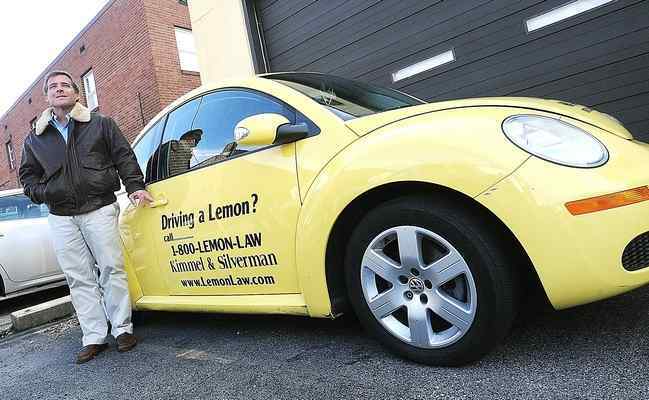 AMBLER — In their 20 years together, Lemon Law experts Bob Silverman and Craig Kimmel have squeezed more lemons than Minute Maid. Silverman was a defense lawyer going to bat for doctors in medical malpractice cases, while his best friend Kimmel was representing plaintiffs in personal injury situations when the men decided that the folks who were being dealt lemons by the big auto makers needed them more. That’s when the Northeast’s first full-service Lemon Law firm Kimmel & Silverman, now located at 30 E. Butler Pike in Ambler, was born. Since then, nearly 70,000 disgruntled vehicle owners have taken advantage of K&S’s cost-free savviness, which has recovered more than $165 million for clients. Over the years, the firm has successfully represented consumers in class actions against many auto makers, while the practice grew to embrace automotive dealer fraud claims and unfair trade practice litigation. The Pennsylvania Lemon Law was enacted for the sole purpose of protecting consumers from buying or leasing new or used, but largely faulty, vehicles and seeks to ensure that the manufacturer of the vehicle repairs any defects that were originally covered under the manufacturer’s warranty and were duly reported by the owner. “The law says that if the manufacturer breaches that warranty by failing to fix the car or product within a reasonable amount of time, or can’t fix it, the consumer is entitled to a refund, replacement or money damages, plus, the manufacturer’s got to pay the consumer’s legal fees,” Silverman noted. “The beauty of it is that we’re so confident that we can prevail that we don’t charge our clients a retainer or contingency fee. We represent you for free and we don’t get paid unless we win or settle your case. The firm shrewdly nailed down the rights to an insanely memorable hotline number (1-800-LEMON LAW) and website as well (www.lemonlaw.com), where visitors can access all kinds of pertinent information and case examples at no charge. The staff of 40 employees and 14 lawyers field about 100 calls every day, and not everyone has done their research before calling in, Silverman allowed. “The calls are from people that have all kinds of problems. Some of them have cars from the ‘80s or no warranty and people who haven’t even taken the car back yet to give the manufacturer a chance to fix it. But when the lemon-ized individual is truly qualified to receive help, he or she will be assisted by a firm that has won numerous accolades and awards for its work, including being dubbed the “Super Lawyers” by Law & Politics magazine. Between them, Silverman and Kimmel have pruned more lemons than a lemon tree farmer and have gotten hundreds of unsafe vehicles off the road. That particular car was a General Motors product, but Silverman could cite examples from all manufacturers, he said. Currently, Hyundai may be leading the least in aggravated clients. Even after two decades of being a Lemon Law king, Silverman said he’s still passionate about his work. “I’ve represented senators and court judges, and they all refer cases to us,” he said.